It’s very easy in longer postings (such as the previous) to forget the closest things. Church is everything the Scriptures say of it, but we largely encounter Christ in a particular setting, among particular friends and family (sometimes). Thus, just as He gives Himself to us in His consecrated Body and Blood, so too, He gives Himself to us in the flesh and blood, and spirit, of the witnesses with whom we share His presence. My experience has taught me that it is that particular place that the cross is erected – that these people are the ones to whom I must empty myself and will find it most hard. Each year, on the Sunday of Forgiveness, some weeks away on the Orthodox calendar, we make our beginning of Lent by asking forgiveness of all in the congregation. I do allright most years until I begin to face the members of my family. There I become overwhelmed with the depths of forgiveness for which I am seeking, and how far short I have fallen in my efforts to bear my cross. It is for reasons such as these that the task of Christians loving one another, forgiving one another, coming to the common mind of Christ are so existentially daunting. For the Church is not formed on the internet, but within the warm embrace of those whom we likely fail the most. May God give us all the grace to love and to be loved. To forgive and to be forgiven. To be filled and to be emptied. And in all things to know Christ who gave Himself for all. Your thoughts made me think that our own feelings of emptiness come often from never having emptied ourselves for others and for God. Thank you for your words. Indeed. I think that when I feel empty it’s that I’m full of something other than God – mostly myself. The act of emptying ourselves for others is actually an actual that reveals to us the greater fullness of what it means to be truly a person. Fr. Stephen, your last posts have been too long for me. Thanks for making a shorter one. We have a struggle within our church family as to what is family. Is it the church family, or, is it each individual family that makes up the church family? Some feel quite staunchly that each individual family is what is one’s family. I am in the other camp, the church is our family. I don’t like that exclusive mentality of the first camp. I find it very offensive. As to what the church is and its purpose? I have been asking my Lutheran pastor friends that today. It seems meaningless to me sometimes what with all the backbiting and backstabbing, especially within the religious organization that we belong to. I am pretty fed up with it all and feel like giving up and moving on. 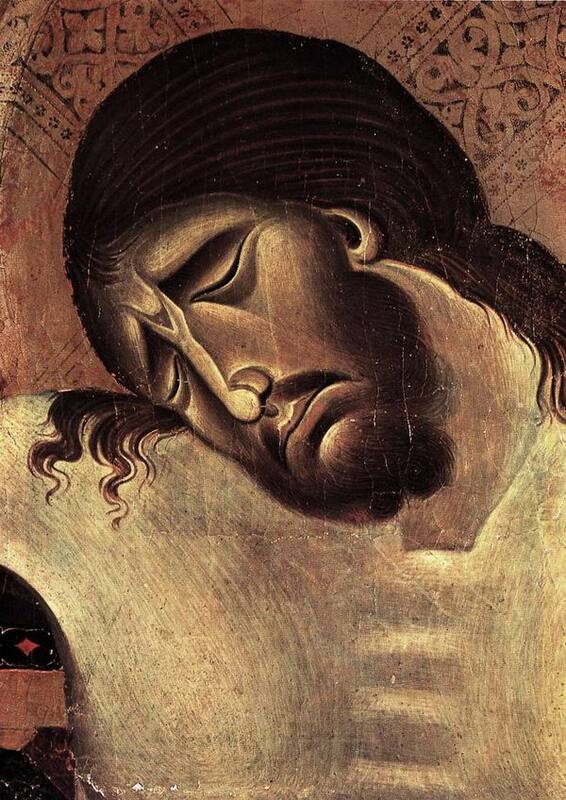 All of sudden I am starting to find Eastern Orthodoxy very restrictive, in a most unpleasant way… I wish I could receive communion in another church and still remain a member of my own, but that’s not possible today. Many things have proper boudaries, including communion. Open communion wasn’t invented until the 1960’s or the 70’s. You don’t want to have open marriages do you? Either you have a union with God in Christ within the Orthodox Church or not. You can’t be Lutheran and Orthodox and Episcopal or whatever suits you at the time. You finally have to be something and commit to it. That others have open communion is not a sign of their inclusivity and the hospitality, but the fact that they do not think the Eucharist is really all that important. But like a marriage, one has to make a commitment and then settle into that life. You can’t keep looking at every other marriage, every other man, etc. God can give you a steady heart. But to be unsteady in these matters is not good for you spiritually. But Orthodoxy has boundaries and they are the boundaries that always existed in the Christian Church. Christianity is currently being reinvented into a new religion elsewhere. I do not know what it will become, but it has already ceased to be what it was. It’s a hard word – but God calls for such commitments from us. It’s not restrictive – it’s true freedom – unless the freedom you want is to be self-guided, self-directed. But that is to be imprisoned in the self. May God help you. It sounds like a difficult time. I have been thinking about this lately as I’ve admitted to myself my gross failings in emptying myself to God or anyone. I find that a difficult, long fast with late prayers is much easier than thinking each day of one small sacrifice I can offer to my family. I know you’re right in that as I learn to empty myself for them, my heart will be filled and strengthened. I would like to address the paticularity of space in reference to where Church happens. 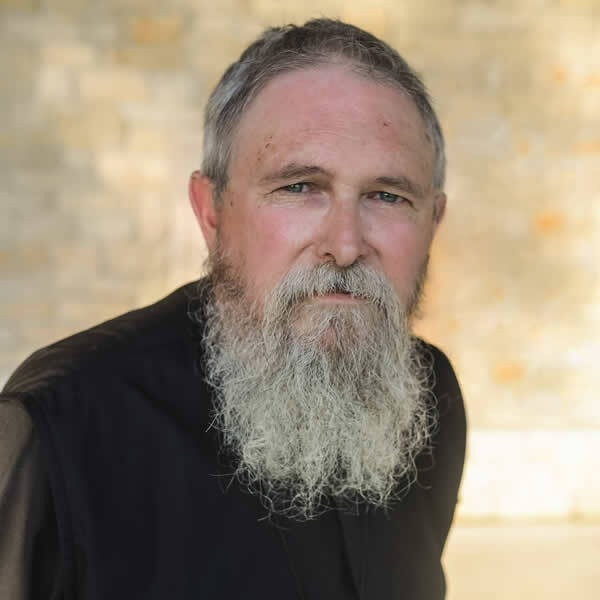 It is Father Stephen’s point about the familiarity of a particular place where Christians gather that breeds contempt on occasion, and how familiarity can provide opportunities to repent and exprerience reconciliation in Christ. Such paradox, as familiarity might engender, explains confusion when it comes to why it is that, from my point of view, too few Orthodox Christians seek Confession on a routine basis. Could this paradox also explain why only a handful of Christians in my home parish come to the Table of the Holy Communion routinely? 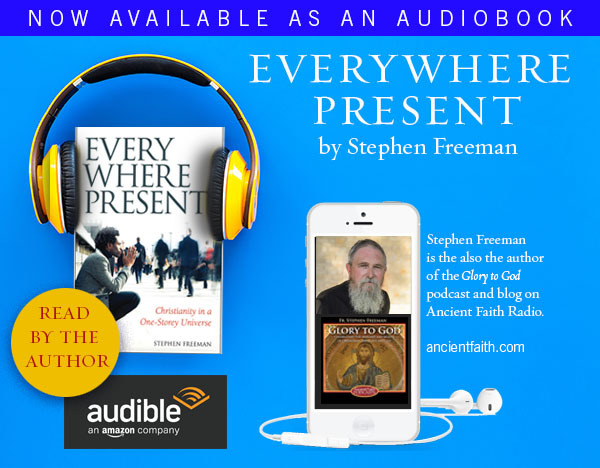 Yes, I agree with Father Stephen, it is the particularity of space and place centered on the Cross of Jesus Christ that introduces perceived obstacles to reconciliation in Christ. Imagine that we are inside buildings consecrated to God, which are often shaped as a cross. The same houses of worship neatly throw pews into row after row, thus imposing boundaries and restricting movement. These pews under the Cross turn the Divine Liturgy into a spectacle to watch and hear, with cantors or choirs carrying the voice of praise…as if we required uniformity of alignment and fixed placement like a gaggle of adolescent kids, needing to be in the groove and not stick out. Outside the pew one might have to look a familiar enemy in the eye. Looking an enemy in the eye makes one mindful that reconciliation is the clarion call of Christ and the Apostles. But looking an enemy in the eye is simply too painful to endure. Or is the alternative too painful to endure? The choice is ours. For some it is better to surf to another pew rather than take that risk. In addition to the paradox of familiarity, there are hucksters among us who add rules to Confession that add fuel to the fire of avoiding Confession. If I might add by way of observation, I see myself as a huckster every time that I let my mind wander away from engaging myself in prayer. I wander when I have my pew “of mind” to sit in. Pews were built for the comfort of hucksters, who stay still, do nothing, and look pretty. Sifting out the hucksters is God’s work, and may God have mercy on me when I am one of the hucksters. But living within the paradox of familiarity is my work. I cannot change the fact that the paradox exists, but I can change my response to the paradox with God’s help and fellow Christians. I have the tools and the grace to confess, and must still ask myself why I would ever resist the joy of absolution. Perhaps I resist the joy of absolution, because I resist living under God’s control and not my own. So, I am responding to this topic by calling for a fire sale of pews in all of our parishes (speaking now as a metaphor) , where we may profess and confess in joyful response to repentence. Father Stephen, is Ioannis your child? Anyways, I had to take a day to reflect on your comment. Thank you for it. I hear what you are saying and I agree. I guess I was looking at open communion as some kind of conflict resolution, like if I feel conflict within my church, or within myself regarding my church, then I can go to another church and be free of that. Apparently it doesn’t work that way, that’s a form of escapism. On the other hand, there are abusive marriages, and we are entitled to leave those. I feel that divorced people get a bad rap in the church, especially those who called the shots on the divorce. Oh well, c’est la vie, right? Ioannis, interesting points. First of all you are right, familiarity definitely breeds contempt, especially within the church. I have to admit that I feel resentment when it seems like the priest is getting along better with those who don’t seem to go to regular confession, at the regular set times. It seems like they are getting rewarded while I am getting punished, then again, is attention from the priest some kind of dog treat? I don’t know. But again, I would caution you against flaming pews on a public blog, that might offend the Lutherans or the Baptists or the Methodists or the Catholics among us who use pews, ok? Please consider my words. All of us are made free by Christ. That’s why we are called “Free.” Nope no relationship to the good Padre.